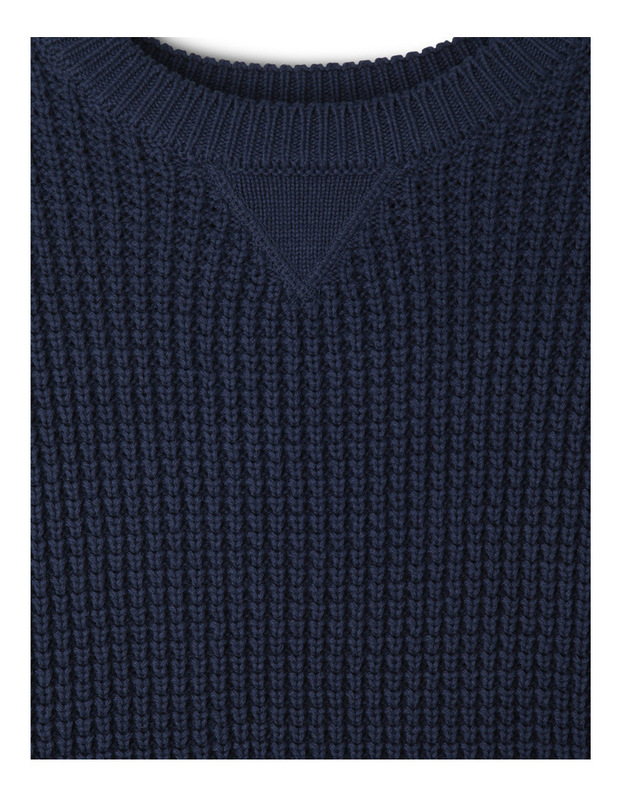 Bauhaus crew neck tuck stitch sweater. 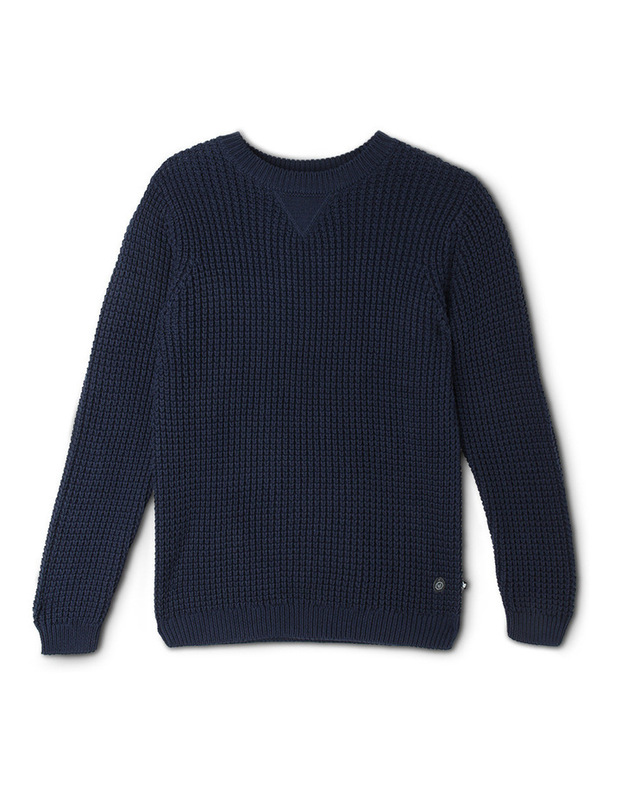 Crew neck sweater with all over tuck stitch. Ribbed cuffs and hem. Fabrication: 100% cotton tuck stitch 5gg. Style: BSW18058.